Ixodes holocyclus is commonly known as the paralysis tick. Paralysis ticks will usually not usually cause serious side effects in humans, but on occasion the neurotoxin they produce can cause serious symptoms which are similar to anaphylaxis. It can also cause muscle weakness, which if the tick is not removed will eventually progress to full blown paralysis. 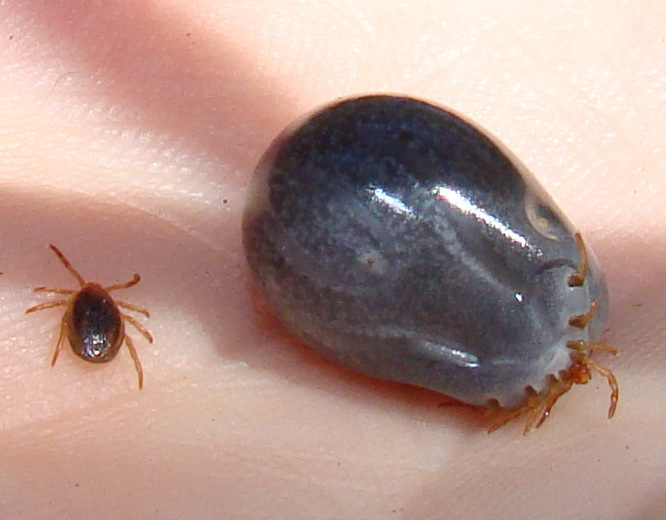 In extreame cases the tick can kill its host. Paralysis ticks can be found along the east coast of Australia between the ocean and the great dividing range.